Yale University researchers have discovered that for older women, there is no evidence that all the money spent on breast cancer screenings leads to any benefits. And Medicare spends over $1.0 billion a year on procedures such as mammography. The study wanted to completely understand the money spent on breast cancer, including screening and treatment costs. They took an overall national view, including nearly 140,000 female Medicare beneficiaries who did not have breast cancer before 2006. These women were followed for two years to observe screening, breast cancer incidence, and associated cost. It comes on the heels of past studies that have brought into question the value of regular breast cancer screenings. There was a big variation across regions in the U.S., ranging from $40.00 to $110.00 per Medicare beneficiary in regard to breast cancer screening. Much of that variation was because of newer, more expensive screening technologies used by some clinics. Still, the researchers found no proof that spending more on these screenings was actually benefiting women in these areas. There was no proof that more expensive technologies led to more detected tumors. Guess where over $400 million of this screening money is being spent? That would be on women over the age of 75, for whom a special U.S. task force concluded there is not enough evidence to back up getting breast cancer screenings at all. The researchers believe we need to figure out which women benefit from screening, and how to deliver that effectively. There is no doubt that such screening can save lives. 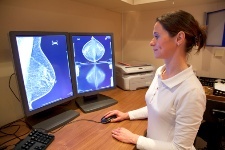 But for some women, breast cancer screening is likely to cause more harm than good. For them, the U.S. is unnecessarily spending millions of dollars. Older women, and in fact any woman, should have a conversation with their doctors about the value of screening for breast cancer. Contact the local branch of the American Cancer Society for further advice if you wish. Your health, ultimately, is in your two hands. Gross, C., et al., “The Cost of Breast Cancer Screening in the Medicare Population,” JAMA Internal Medicine, published online January 7, 2013.